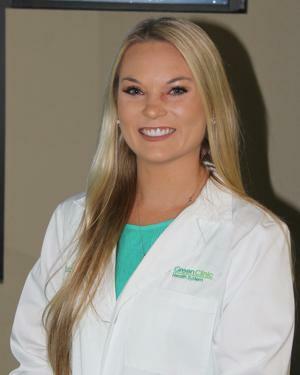 Kadie Claborn has been a part of Green Clinic since 2018. She works in the internal medicine department where she treats acute and chronic condition for patients ages 11 years and up. Kadie loves the outdoors and sports. She spends her free time with her husband, Pate, participating in benefit slow pitch softball tournaments, giving back to members of the community in need. A believer in the importance of physicial activity, she participates in crossfit and boot camp. Kadie is excited and honored to serve the community that she is blessed to call home. She is currently taking new patients.